When traveling for work, take advantage of side trips! 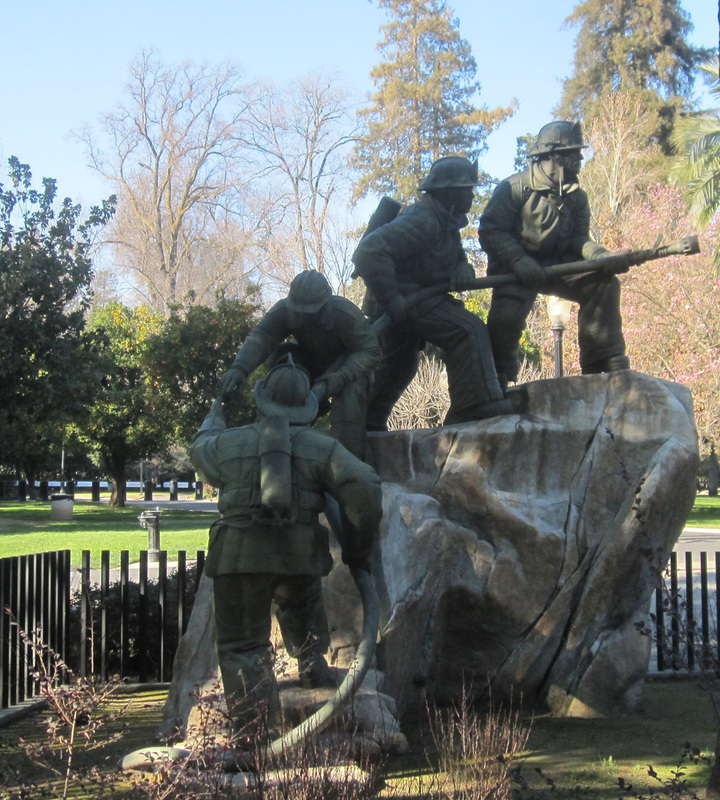 I had the chance to go to downtown Sacramento to visit the California Firefighter Memorial which is located in an old city park near the capitol. A typical memorial consists of bronze sculpture and words on stone. There are many iterations of this formula around the country and this one was no different. What is most interesting to me is watching how people respond to public art. In this case I was with a group of wildland fire apprentices. The sculpture commemorates structural firefighters, but the names carved into the stone wall include state and federal wildland firefighters who died in the line of duty. The group was very quiet as they read names and dates. Choosing and being chosen by a hazardous profession is appropriately sobering. 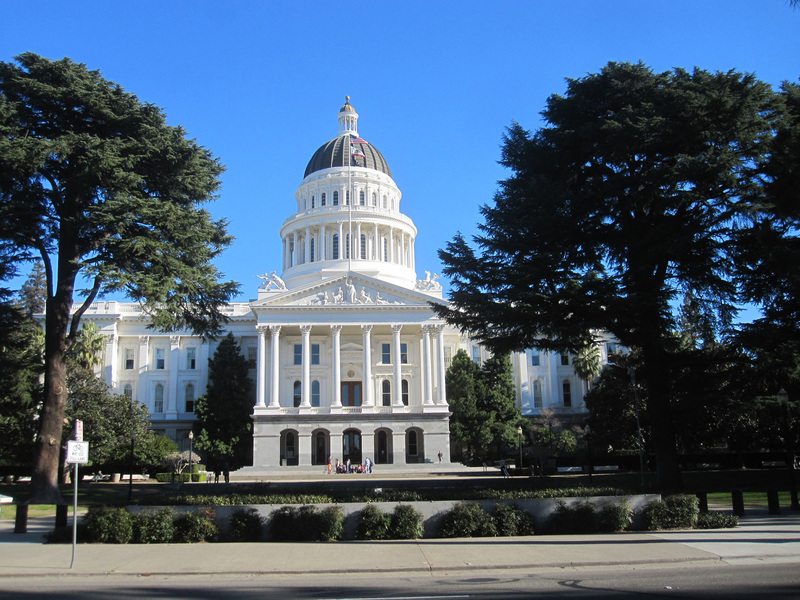 The state capitol building is a gleaming white edifice in the center of the city, surrounded by offices and scurrying commerce. By contrast, the Washington state capitol in Olympia is on a campus with broad lawns which separate the workings of government from the everyday world. Gazing upon the home of the California state assembly reminded me of the influence of Thomas Jefferson on official architecture. My brain scrambled (with marginal success) to recall the litany of architectural terms I once knew: columns, entablature, frieze, cornice, dentil…the Greek model stands for democracy. Yesterday I visited Placerville, a gold rush town east of the city. 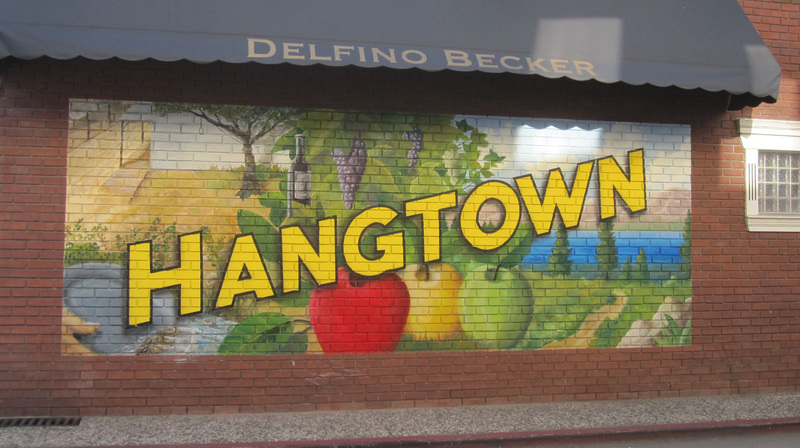 It was once a lawless place full of saloons and brothels, where so many outlaws and claimjumpers were hanged that it became known as “Hangtown”. Now it is a well-heeled tourist destination. I wandered in and out of shops, enjoying the warm sunshine and light falling on examples of the stonemasons’ and bricklayers’ craft. Again the terms: corbel, arch, keystone, quoin. There is a sense of time here. Murals are fun too. The challenge is to capture the qualities of a place in one image. Here you can see the gold panning, the agriculture, the scenic beauty of the Sierra foothills. Side trips are a way to grab more experience. I am sorry to not have more time to explore, but so it goes. Duty comes first, however I’m studying maps and websites for my next outing. Just to let you know that your blog is being followed back here on the home front. 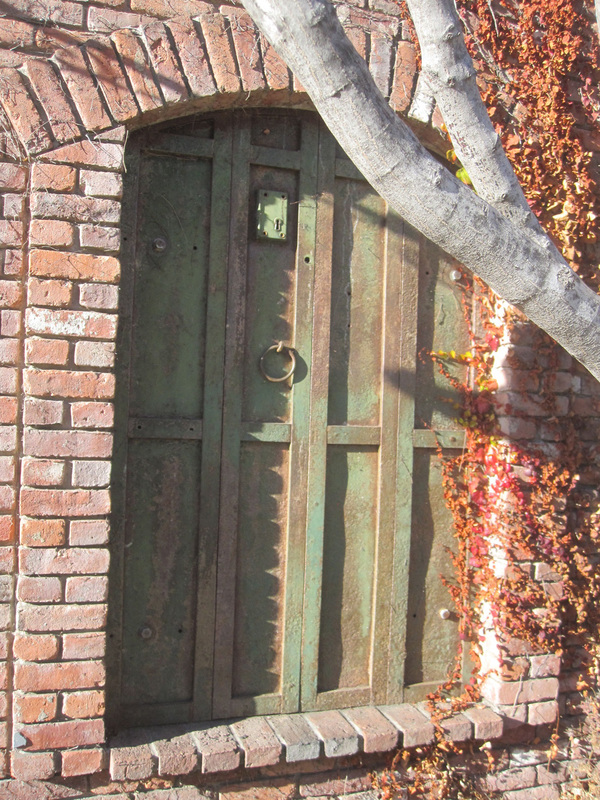 Except for the sun and shadow, your photo from Placerville could have been taken in Roslyn. Enjoy the sunshine!! (I’m sure you are. 🙂 Your stories and photos from sunny CA are a welcome distraction from the ice-fog and rain out the window here. The weather pundits here are calling for another full week of the aforementioned. Snowpack is at 45% of normal and reservoirs are already 80% full. NOT GOOD!